While wearing dental braces is more often associated with children in their early teens, there are a growing number of adults requesting orthodontic treatments to aid in achieving the perfect smile. The following article will answer all the most common questions when it comes to dental braces treatment in Malta, including how they work, how long you must wear them and any risks associated with wearing braces along with a host of other frequently asked questions. Dental Braces or orthodontics are devices used to align and straighten the teeth and jaws of a person to improve their smile and oral health. Orthodontics is used to correct an uneven bite, manipulate the jaw to close unappealing gaps and straighten teeth to bring them into proper alignment with the lips. Braces also eliminate problems you may have with cleaning your teeth, speaking or even eating properly. How Do Dental Braces Work (What Changes Do Braces Bring About)? In general, orthodontics works by exerting continuous pressure to the teeth, to slowly move them in a particular direction. As they apply pressure on the teeth, they cause the bone to change the shape of the teeth to align themselves properly. If braces are indeed the solution for you, your orthodontist will prescribe an appliance specific to your needs. The braces may consist of bands, wires, and other fixed or removable corrective appliances. 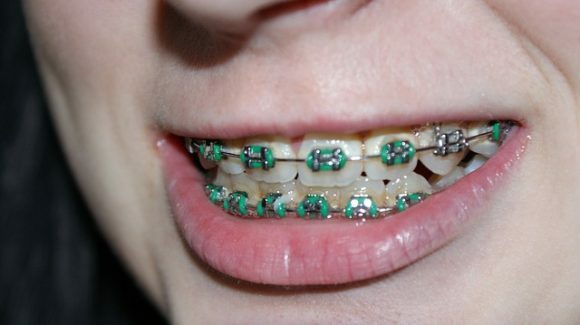 Brackets: Made of stainless steel or clear or tooth-coloured ceramic or plastic, brackets are bonded to the front of each tooth. Ceramic or plastic brackets are often selected for cosmetic reasons. Plastic brackets, however, may become stained and discoloured by the end of treatment. Another disadvantage of ceramic or plastic brackets is that they cause more friction between the wire and brackets, which can increase treatment time. 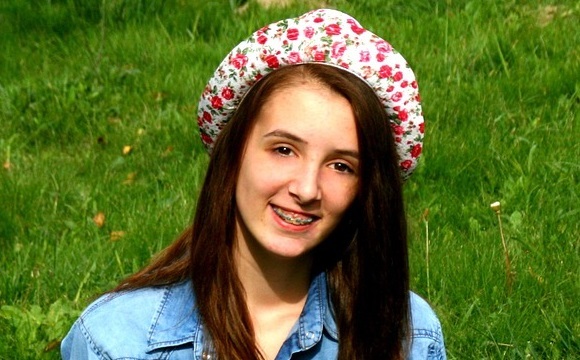 Newer “mini-braces,” which are much smaller than traditional braces, may be an option for some. Your orthodontist will discuss the various types of available braces with you and determine which might be the best option for you. How Long Will It Take Before Braces Are Removed? The duration of time you will need to wear braces depends on how far your teeth need to be moved, your age, the health of your gum, teeth and supporting bone, as well as the complexity of the problem. More importantly, it will be determined by how well you follow instructions. Fixed Braces: In a normal case, fixed braces take anywhere between 12 and 36 months.For a severe dental case, the braces may have to stay on longer. Removable braces: Removable braces usually take a shorter time than the fixed ones. One of the most popular removable brace options currently in Malta is Invisalign Braces. Call Savina Clinic today on (+356) 2165 7323 (Malta) / (+356) 2155 7323 (Gozo) for any urgent Dental Braces treatment questions or booking requests. How Often Should I See An Orthodontist During Treatment? To ensure your braces are exerting enough pressure throughout, your dentist will have to see you every six to eight weeks. During these visits, the dentist will adjust the wires, rubber bands or springs on the braces. Attending these appointments is very important since the more you miss them, the longer it will take the braces to work. The pain caused by braces is usually mild and only lasts for the first few days. When necessary, your orthodontist may prescribe over the counter painkillers such as Paracetamol or Ibuprofen to help ease the pain. Will I Suffer Any Discomfort Once The Dental Braces Are Fixed? Your mouth is a sensitive body organ. Once the orthodontics are fixed, it will take you a few days to adjust to wearing the braces. The pressure the braces put on your teeth may feel uncomfortable, and you might experience this slight discomfort every time they are adjusted. Sometimes, parts of the braces may cause sore spots on your lips and gums. In such a case, your orthodontist should give you a clear wax to put on the affected parts. If your pain persists for more than a few days, it is important that you go back to your orthodontist. Does My Age Impact On The Success Of The Treatment? Age does not impact on the success of orthodontic treatment. Teeth can move at any age. However, when you are younger, they move more efficiently since your gum is still growing. Is It Okay To Engage In Sporting Activities While Wearing Braces? Yes! However, you should wear a specially designed mouthguard that is placed over the braces during contact sports to protect your gum soft tissues. If you have removable braces, it is advisable that you remove them and put them in a braces case. Even so, you will still need the mouthguard to protect your teeth. You need to place the braces back as soon as possible after you are done with the sporting activity. It is also advisable to remove the braces when you are swimming. What Dental Care Should I Expect When The Braces Are Removed? After your dental braces are removed, your dentist should clean your teeth thoroughly to remove all the glue from your teeth and take the mould for your retainer. Your dentist may need to take further bite impressions and dental x-rays to ensure that all your teeth are well-aligned and the development of wisdom teeth. If your dentist notices any developing wisdom tooth, they may recommend that you have the tooth pulled out to prevent the others from shifting. After that, your orthodontist will fix a retainer to make sure your teeth do not dislocate from their new position. You will be expected to wear this retainer throughout for the first six months. 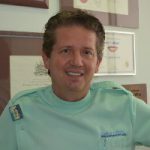 Is The Process Of Getting Braces The Same For Adults As For Children? Yes. The mechanical process of moving teeth that are healthy is the same regardless of age. However, Adults have more vulnerability compared to children. 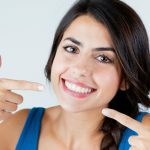 What Are Some Advantages And Disadvantages Of Getting Braces As An Adult? Other than the aesthetic benefit of having braces, adults can now enjoy long-term oral health. The only disadvantage of getting braces as an adult is that in most times, you may need more than braces to make certain corrections. Also, the treatment may take a longer time because the aged bones have stopped developing. Why Are Adult Braces Becoming More Popular? Unlike before when adults were limited to 1 or 2 brace designs, you can now choose from a wide range of appliances such as Metal braces, Inman aligner, Lingua braces, ceramic braces and the Invisalign braces. What Can I Expect Before, During And After Orthodontics Treatment? Orthodontic treatment is a long-term treatment that occurs in stages. Before treatment: Make sure that you inform your orthodontist about any oral issues you may have had in the past or preferences you may have concerning the placement of the dental braces. During the treatment: You will be expected to double up your degree of oral health since the braces can help in the accumulation of debris which may cause gum disease if not properly cleaned. You must also comply with the instructions given by your dentist on how to use the treatment device. Post-treatment: After the treatment, you will need to maintain oral cleanliness of your teeth by brushing after every meal and before going to sleep as well as maintaining regular dental check-ups. Are There Any Foods That Patients Have To Avoid Completely? Eating the wrong foods may damage or break your braces. For the first few days after the braces are installed, it is important that you eat soft foods. Regardless of the type of braces you are wearing, keep away from sticky, chewy and sugary foods. Also, avoid hard foods such as carrots, apples, crusty rolls, and French bread. Make sure to cut your food into small pieces and keep a soft diet to avoid food getting stuck in the brackets and in between your teeth. Avoid fizzy drinks, carbonated drinks, natural fruit juices, sodas, and pops. Most of these drinks are usually high in sugar, which can lead to erosion and tooth decay. Fizzy drinks also tend to stain the brackets of your braces. When you opt to take any of these drinks, avoid sipping, and instead, use a straw. Water and milk, however, are highly recommended. When Is A Person Not Suitable For Treatment? Orthodontic cases are not recommended for people with oral difficulties or weakened gums. This is due to the fact that braces exert extra pressure on gums that may be detrimental or weak. Your gums need to be robust, sturdy and with soft tissue that can bounce back when you wear braces. How Much Does The Treatment Cost, Approximately? The average cost of braces or orthodontics depends on your practitioner, length of treatment, the kind of hardware used and the complexity of your current dental condition. The indicative cost of a normal course of fixed braces treatment is €2500 excluding retainers at the end of the treatment (approximate cost €560). 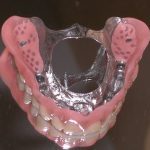 What is the price of removable braces compared to fixed braces? Removable braces, such as Invisalign range from €2,500 – €4,500 depending on the level of complexity and timelines involved. Therefore, for a true cost of dental braces/orthodontics treatment in Malta, contact us today at Savina Dental Clinics to book a consultation or use our free e-consultation service. You can also find a full up to date indicative pricing list of all our offered services and treatments here. Do braces change the shape of your lips? The effect of braces on your lips depends on the original position of your front teeth and the distance they need to move backwards or forward. The final position may make your teeth look more prominent. However, in essence, it is just about a change of position. Can you combine Invisalign with regular dental braces at the same time? Invisalign can be combined with other orthodontic treatment but rarely at the same time. Usually one follows the other. – conventional orthodontics before Invisalign. This is to obtain space rapidly or to resolve complex occlusal (bite) situations then the patient can go on to Invisalign to save wearing the unsightly fixed braces for longer than is absolutely necessary. Can braces fix gapped teeth? Yes. Assuming there are no other problems, braces can help fix gapped teeth. Depending on the size of the gaps, cause, and location between your teeth, we will help you choose the best braces to fix them. Ceramic braces are a form of a conventional orthodontic appliance that is made up of brackets bonded to your teeth and have an arch-wire that runs across them. 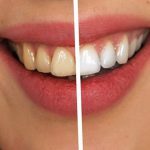 Since they are made of a ceramic compound and not metal, they can be tooth-coloured or clear instead of shiny metal, making the braces less visible. Does the price of braces change for kids versus adults? Yes. While the braces used for adults are the same as those used for children, adult braces cost more. This is because they take a long time and require more visits to the dentist than adolescent treatment. How much does it cost to remove braces? The cost of removing braces is considered part of the overall treatment and not an additional cost. 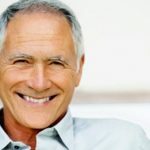 What are the most popular dental braces for adults? Ceramic braces are the most popular dental braces for adults. Ceramic braces are mostly preferred for being tooth-coloured or clear, which makes them blend in with the teeth. They are also less noticeable. Some patients choose to use tooth-coloured wires to make them even less noticeable. Can I get braces on my top teeth only? Occasionally, yes. However, there are a lot of factors that need to line up for this to be effective such as the starting position of the teeth in both arches and how they are related to each other (the bite). In a lot of cases, it is possible to straighten your teeth without braces. You can use systems such as Invisalign to straighten your teeth. There is no best age to get braces but it is normally during teenage years. Typically, the best time depends on a child’s growth and how fast their permanent teeth are coming in. However, most kids generally get them between the ages of 10 and 14. This is the time when permanent teeth are erupting and their mouth and head still growing. 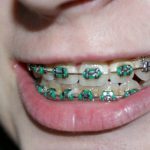 Braces can still be effective for older teenagers and adults alike but treatment time is longer as there is no active growth. Yes. A bad bite causes abnormal wear of tooth surfaces, excess stress on gum tissue and supporting bone, and difficulty chewing or sometimes even speaking. Crooked and crowded teeth are also hard to clean and maintain. Without dental braces, most of these issues may worsen and require additional dental care in the future. If you would like to schedule a Dental Braces/Orthodontics consultation at Savina Dental, please book your appointment using this form.